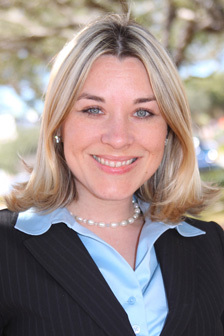 We consider ourselves very fortunate to have had Valarie Wadsworth – Lee DeLieto as our agent. Val's experience and professionalism has served us very well, especially when we were beginning to get anxious about our first home not being sold and settlement was fast approaching on the new home. Val reassured us and told us to relax, that it would all work out. It worked out exactly as Val said it would. - Glenn & Jeanne V.
Hello- I just want to say that working with Valerie & finally purchasing a home in Sarasota downtown was absolutely wonderful. Above all what I admired about her was her honesty and her true interest in my concerns and expectations. My purchase is very small when you look at the big picture, but she was very attentive even so. Valerie made all the difference in the world as far as me moving ahead to purchase the property.